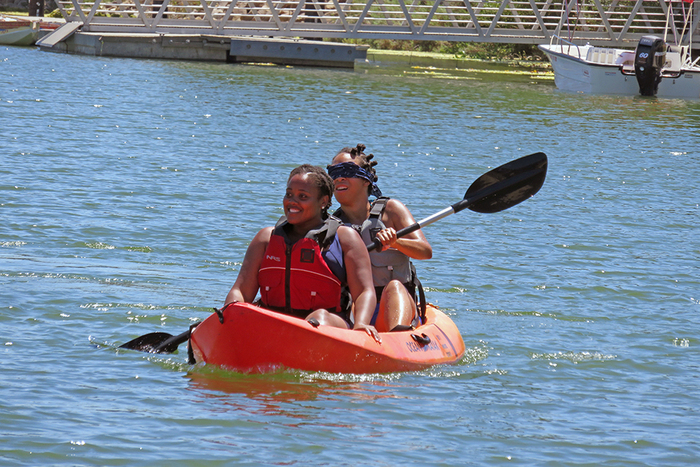 Members of Outdoor Afro, a national nonprofit that connects African Americans and the outdoors, participate in Paddle Safe and Leadership skills training course, part of a program called Re/Connecting People With Parks that is coordinated by the CSUN's Department of Recreation and Tourism Management. Photo submitted by the Department of Recreation and Tourism Management. A walk in the Antelope Valley Poppy Reserve as part of the Re/Connecting People With Parks program that is coordinated by the CSUN's Department of Recreation and Tourism Management. Photo submitted by the Department of Recreation and Tourism Management. 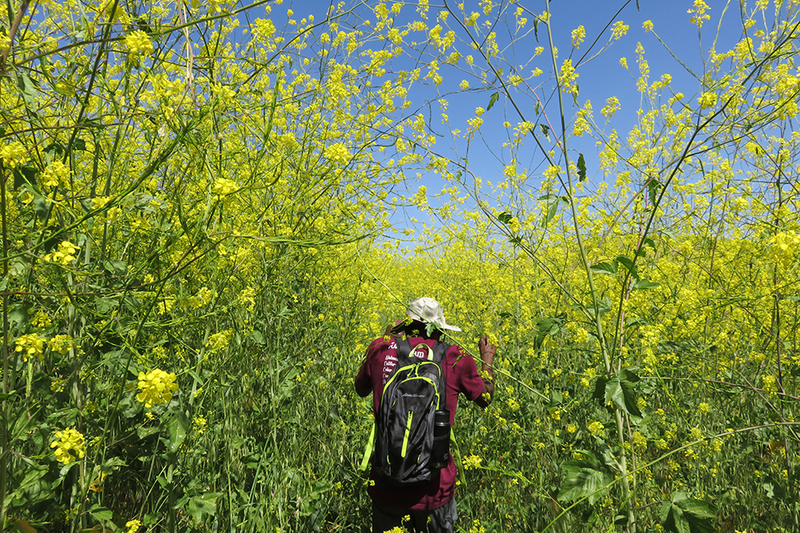 A member of the Outdoor Afro organization participates in a wildflower hike at Chino Hills State Park as part of CSUN's Re/Connecting People With Parks program. Photo submitted by the Department of Recreation and Tourism Management. 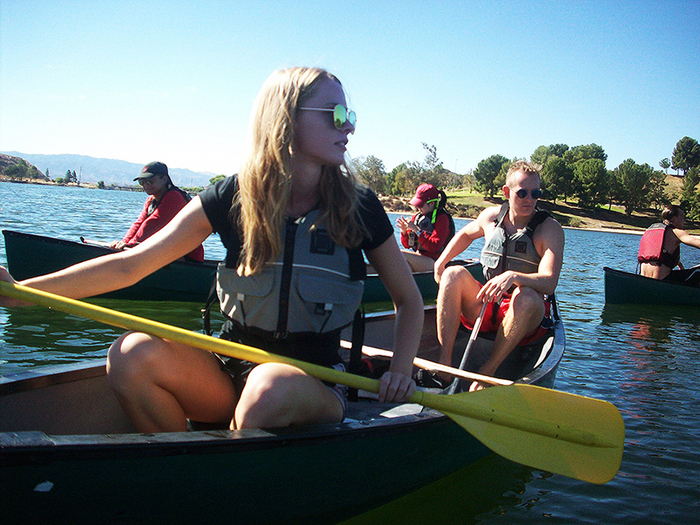 CSUN exchange students Trine Jacobsen and Niels Nielsen paddle a canoe during a Paddle Safe and Leadership skills and leadership training course, part of a CSUN program called Re/Connecting People With Parks. Photo by Jacob Bennett. 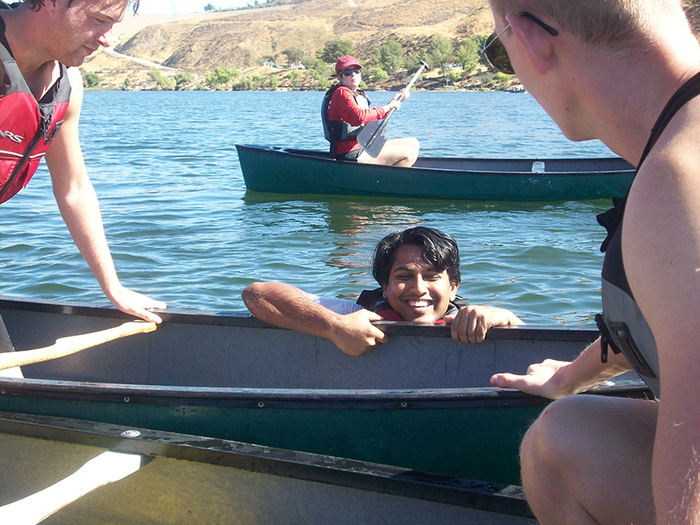 CSUN exchange student Linus John Abraham tests out the water before a capsizing drill during a Paddle Safe and Leadership skills and leadership training course, part of a program called Re/Connecting People With Parks. Photo by Jacob Bennett. 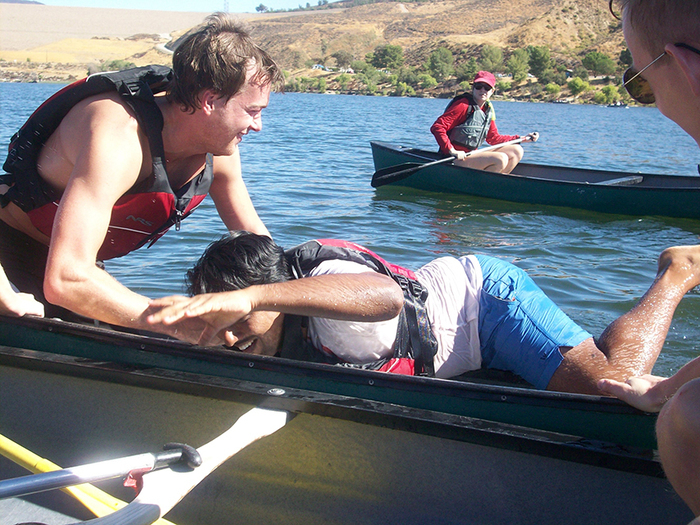 CSUN exchange student Niels Nielsen pulls graduate student Linus John Abraham into their canoe during a Paddle Safe and Leadership skills and leadership training course, part of a program called Re/Connecting People With Parks. Photo by Jacob Bennett. CSUN exchange student Niels Nielsen hangs on during a capsizing drill during a Paddle Safe and Leadership skills and leadership training course, part of a program called Re/Connecting People With Parks. Photo by Jacob Bennett. 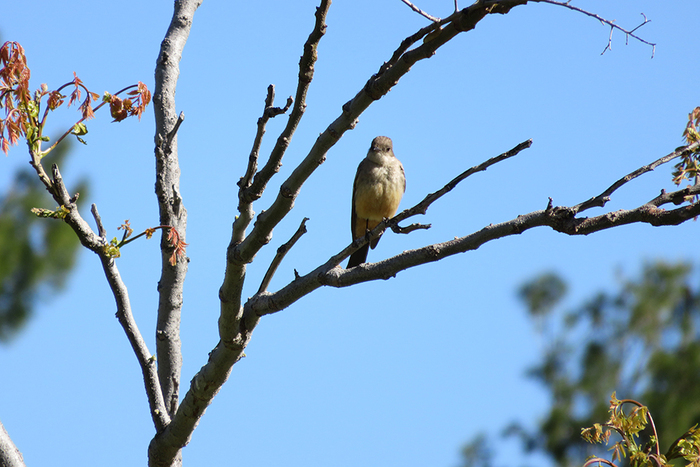 A bird watching activity at Castaic Lake in April as part of CSUN's Re/Connecting People With Parks program that is coordinated by the CSUN's Department of Recreation and Tourism Management. Photo submitted by the Department of Recreation and Tourism Management. 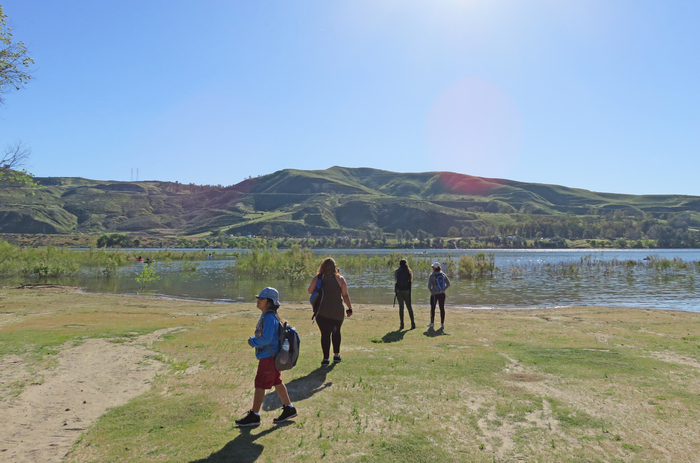 A bird-watching walk at Castaic Lake in April was part of CSUN's Re/Connecting People With Parks program that is coordinated by the CSUN's Department of Recreation and Tourism Management. Photo submitted by the Department of Recreation and Tourism Management. 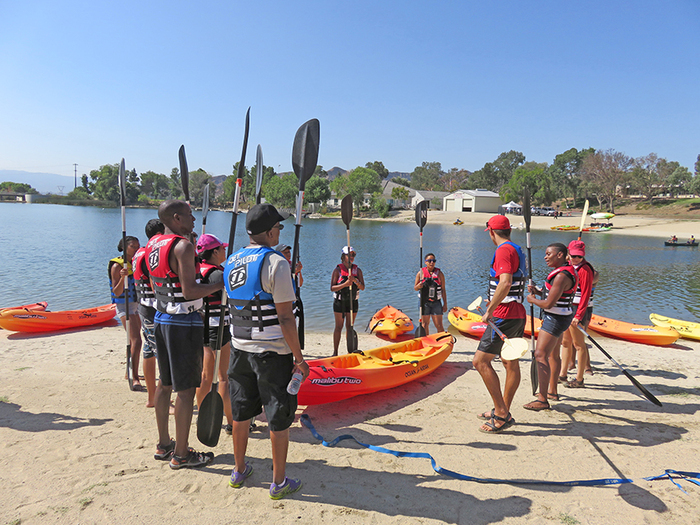 Chris Whitesides, CSUN Aquatic Center manager, leads a Paddle Safe and Leadership skills training course, part of a program called Re/Connecting People With Parks that is coordinated by the CSUN's Department of Recreation and Tourism Management. Photo submitted by the Department of Recreation and Tourism Management. The wind picked up on what was supposed to be a calm, 95-degree September day on Castaic Lake, and suddenly no matter how hard Melony Varnado tried to steer her paddleboard left, it blew right. Under normal circumstances, this could have been alarming for Varnado, who had never been on a paddleboard before. But a certified California State University, Northridge instructor was there to teach her how to lay down on the board and paddle herself to safety. Varnado was participating in a CSUN program called Re/Connecting People with Parks. The idea is to provide a free, expert-guided introduction to outdoor activities for people in the Los Angeles area. 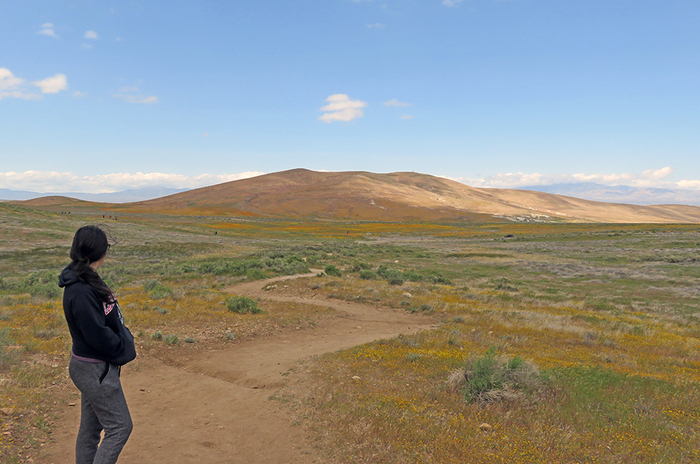 Events are held at Antelope Valley Poppy Reserve, Castaic Lake, Placerita Canyon and Topanga Canyon, including hikes and bird watching. The program’s primary goal is to foster interest in the outdoors, especially among minorities and underserved populations who face barriers to outdoor activities such as paddling, due to transportation challenges and equipment rental costs. The program is coordinated by Mechelle Best, chair of CSUN’s Department of Recreation and Tourism Management. 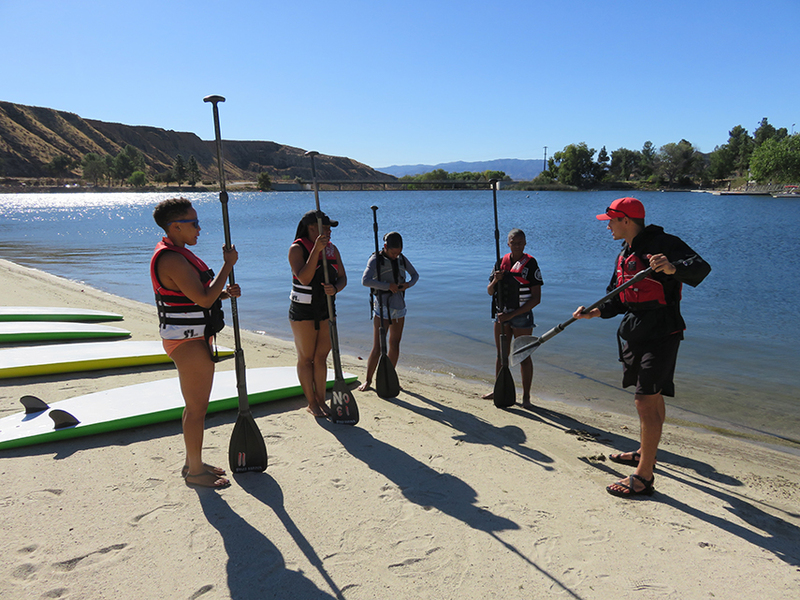 A key component of the Re/Connecting People with Parks program for the fall 2017 semester has been “Paddle Safe and Leadership,” a series of classes at CSUN’s Aquatic Center at Castaic Lake State Recreation Area, the program that attracted Varnado to the lake. From September through November, certified instructors have taught small groups of community members and students how to kayak, canoe or stand-up paddle. The goal was to get a group of students to progress through a series of classes, but it was also OK for community members to attend individual sessions (which often turned out to be the case). In addition to water sports skills, group members received leadership training to help them encourage their family, friends and community members to try water-based recreation activities. 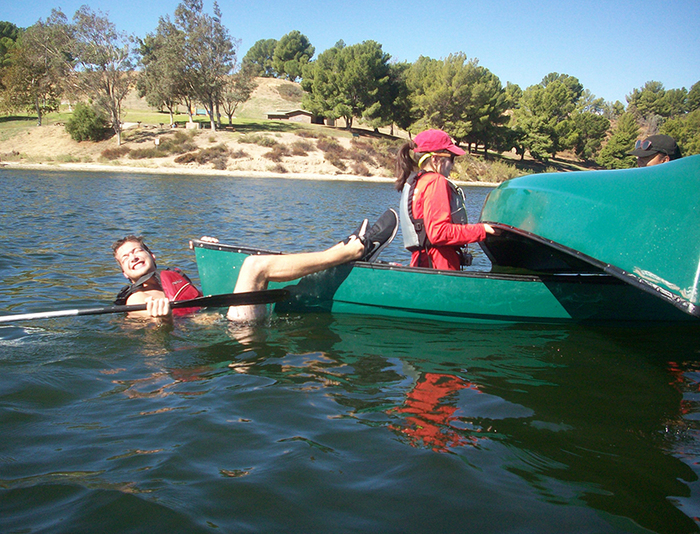 All activities on the lake are supervised by CSUN staff who are certified lifeguards. To recruit participants, Best has connected with a group called Outdoor Afro, a national nonprofit that connects African Americans and the outdoors, and Southern California Black Outdoor Adventurers, which works to spur interest among blacks and other minority groups in outdoors activities. 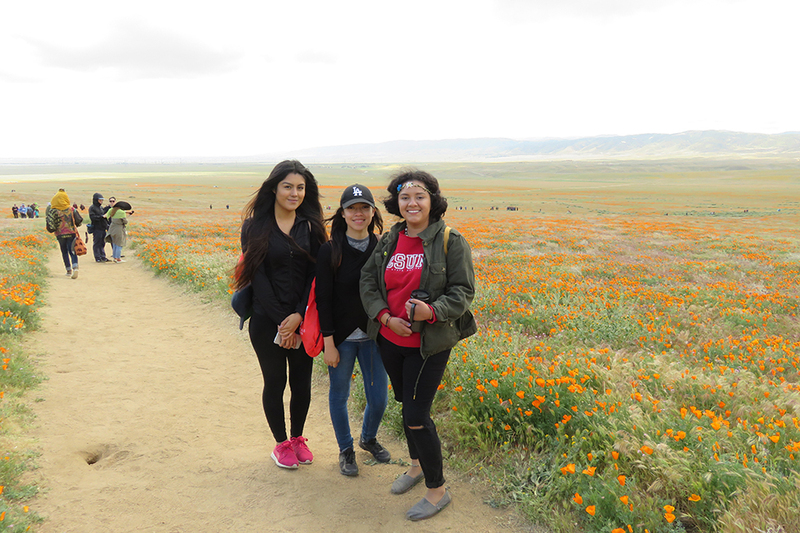 The Re/Connecting People with Parks program also has attracted Boy Scout troops, members of CSUN’s Pride Center, the CSUN Student Housing affinity group Latinas Rising and members of CSUN’s Bridge to the Future program. The Paddle Safe and Leadership fall cohort will wrap up Nov. 18 with a community day celebration at Castaic Lake State Recreation Area. The event is open to previous participants as well as newcomers of all ages. During two sessions, 9:30 a.m.-12 p.m. and 12:30 p.m.-3 p.m., the day will include certified instruction, as well as leisurely paddling on the lake. Participants in previous fall events also can bring friends and family to enjoy the lake and water sports. Registration is required. The course will resume in spring 2018, from March through May, and will be open to both returning participants as well as new participants. On Oct. 7, CSUN Aquatic Center Manager Chris Whitesides led a canoeing session with a small group that included Linus John Abraham, a CSUN electrical engineering graduate student, and three CSUN exchange students from University College of Northern Denmark: Emil Buus, Trine Jacobsen and Niels Nielsen. Before getting in the canoes and out on the water, Whitesides led some informal classroom training, including preparation tips — finding clothes that can keep water out and keep heat in, depending on the situation. He taught the students about the pros and cons of various life jacket styles, and how to throw a rescue rope to someone stranded in water. Preparation, he said, is the key to a successful recreational outing. The Re/Connecting People with Parks program benefits more than just the individuals who partake, Best said.